TRIUMF is a natural magnet for young minds and we pride ourselves on the programs for our students and post-doctoral fellows. From high school and undergraduate students, through to graduate students, TRIUMF's numerous postdoctoral fellow and student programs ensure that as many as possible benefit from the scientific program and excitement that exists within Canada's premier national laboratory. 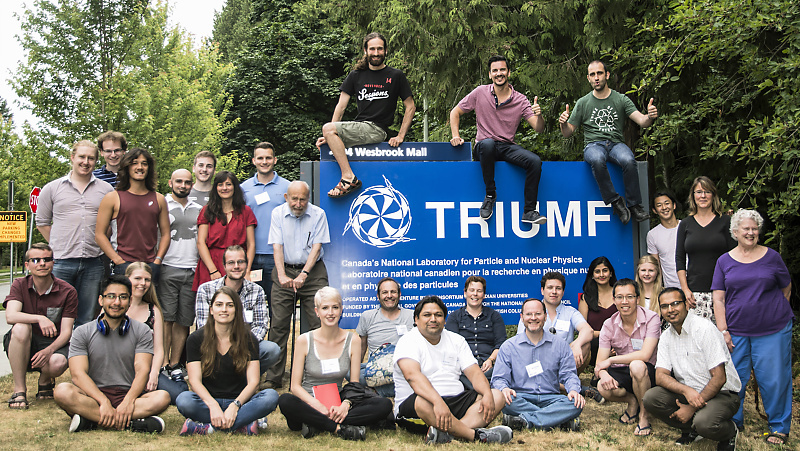 TRIUMF is a great place for young minds to gather, learn, make new friends and have fun doing so. With 150 postdoctoral research fellows, graduate students, and co-op students working side-by-side with world-class scientists, engineers, and technicians, TRIUMF is training the next generation of science leaders. The TRIUMF Academic Committee (TRAC) coordinates all academic activities taking place at or involving TRIUMF. Our goal is to promote and strengthen academic activities in the core competencies of the laboratory and enhance our engagement with Universities in Canada and abroad. On our website can be found: Information on regular events, the GAPS lectures series, links to awards and fellowships, and a job information page. IsoSiM is a collaborative effort by TRIUMF & UBC to advance students’ understanding of the importance of isotopes in various areas of study, from nuclear physics to medical imaging and beyond. TRIUMF in cooperation with institutional partners put on a variety of summer schools for graduate students and postdoctoral fellows. The schools are typically two-weeks long and cover topics in theory and experiment spanning the breadth of TRIUMF's research program.